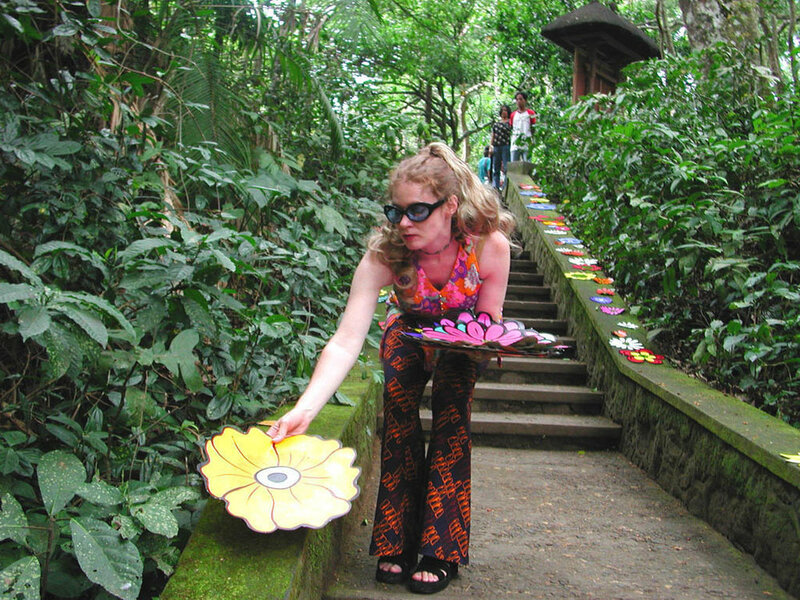 Wilson initiated her Flower Interruption project in 2002 as a playful response to the monotony of the everyday and business-as-usual routine. 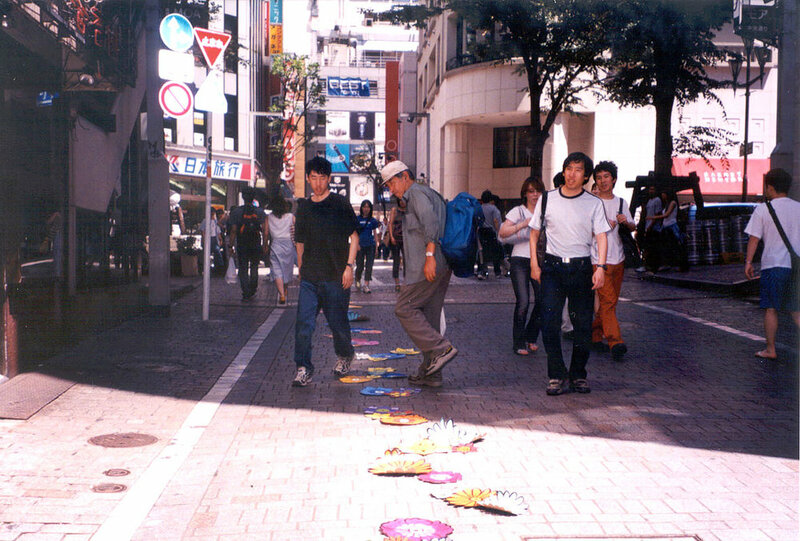 Flower Interruption is a strategy for breaking up the expected. It is also a rejection of corporate values and the surface aesthetics of capitalism. Working in opposition to corporate advertising, the interruptions offer a respite in the landscape from the onslaught of profit-driven messages, which have become the backdrop for defining global culture and lining the pockets of an elite few. 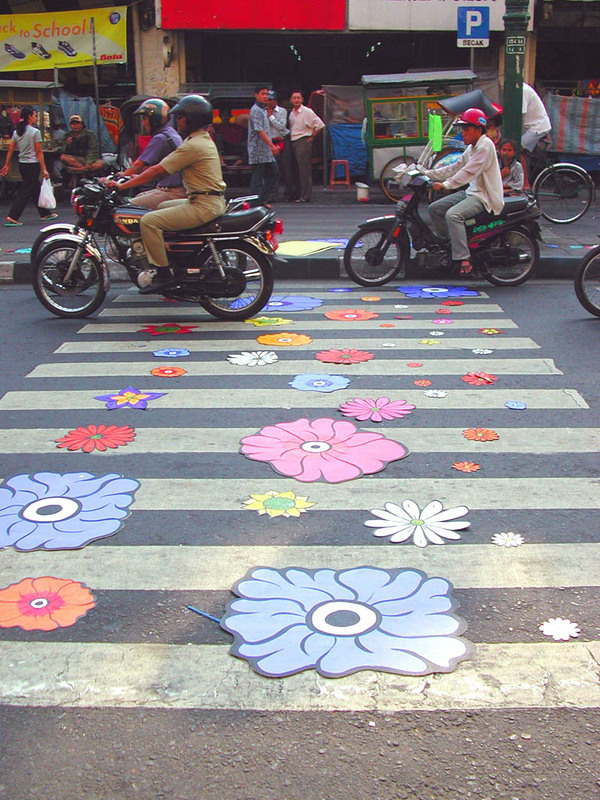 Wilson’s technicolor flowers are a striking contrast to the grit and gray of the city, appearing as though air dropped in by a cartoon plane. 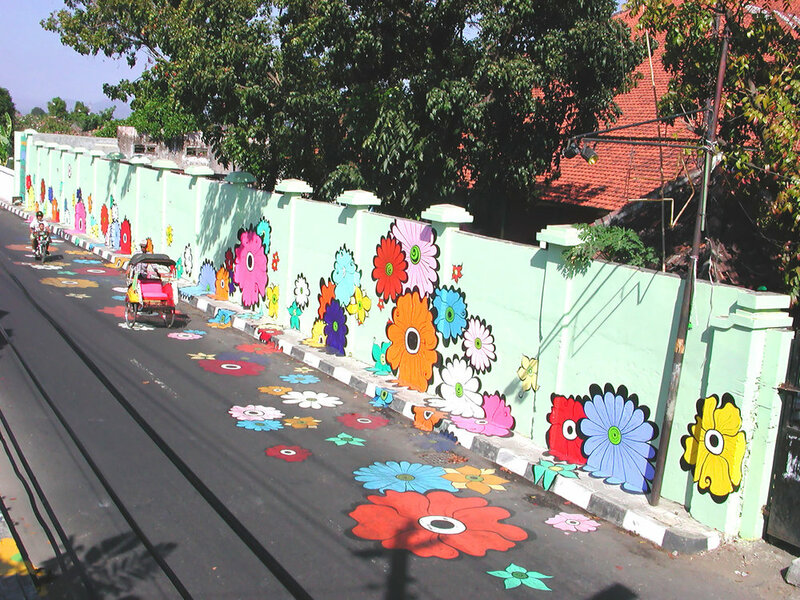 In addition to San Francisco Wilson has created Flower Interruption projects in Tokyo, Japan; Yogyakarta Indonesia, Bali Indonesia, Bantul Indonesia, Jaipur India, and Manila Philippines. 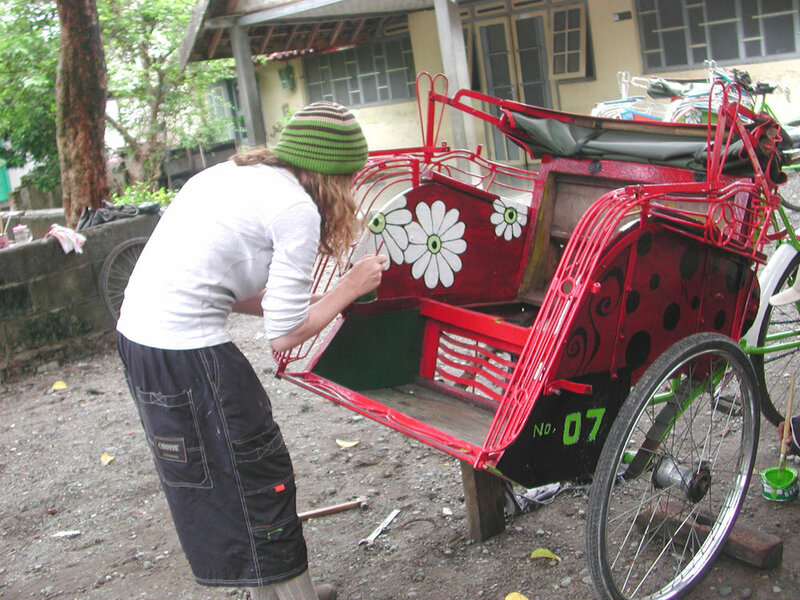 Wilson’s flower works have continued to bloom and have become her signature motif for engaging audiences throughout the world in a broad range of environments and intents: 1) As an economic strategy for becak and motorbike drivers in Yogyakarta Indonesia and Jaipur India; 2) As a messaging tool to draw viewers in through the fun, beautiful designs of the flowers while delivering communications in an effort to raise consciousness around timely and critical subjects such as income inequality, environmental degradation, and the abuse of corporate power; and 3) To heighten awareness around the realities of homelessness.